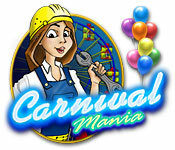 Carnival Mania is rated 3.8 out of 5 by 4. Rated 5 out of 5 by JeanaNYC from Love it! Fun and colorful. Not too hard, not too easy. Great for those days where you just want to relax and be absorbed for a few hours. Hope they come out with a sequel ! Rated 4 out of 5 by almarcam332 from Good Game Not a bad game at all! Slow sometimes and some of the levels are pretty hard, but I would rather it be hard than so easy that it would bore me to death. 50+ level and a sandbox play so to me it was worth the price. Would be nice to see if they come out with a sequel what changes might be made. Rated 2 out of 5 by Bwgirl from Not much good to say! 1. The tutorial was lousy. Your goal was to earn a certain amount and the tutorial basically had you take actions so that you couldn't meet those goals. I had to restart it do "do my own thing" just to get past level one. 2. Just not much fun. Unless you like to watch paint dry. 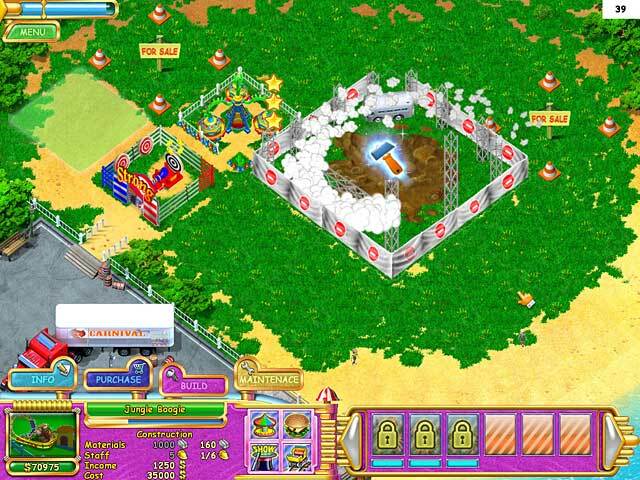 You upgrade the stupid rides and then watch time run out but you still haven't earned enough to buy materials to build the required rides and all the while you've got this boring music playing that at 3 in the morning is almost guaranteed to put you to sleep. 3. 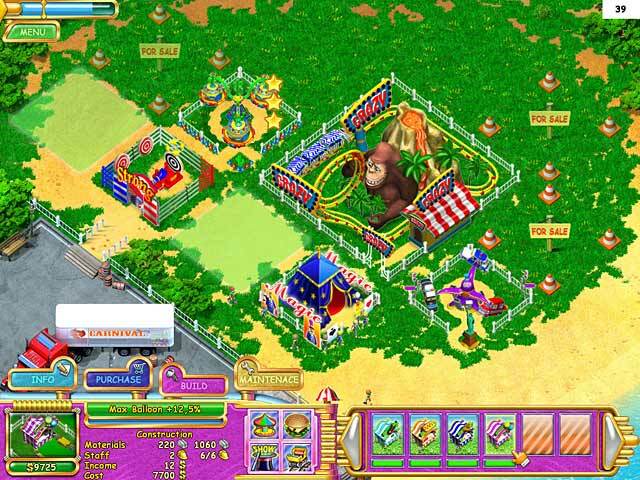 The theme of this game is rides named after mythology. If that's the entire basis of the game, then big whoop!